The Supply Chain Management of our Training Support Equipment and Firing Range Spare Parts is a pivotal part of the business that ensures our Defence / Police customers have what they need, when they need it, to maximise & enhance their capabilities. 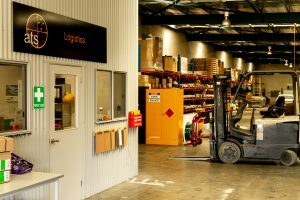 Our internal Technical Services team relies on our ability to keep comprehensive spare parts stores to enable them to efficiently repair and maintain on range equipment at maximum operating efficiencies. Over the last 18 months we have purchased, packed and loaded in-excess of 600 pallets of Training Support Equipment into 70 plus, 20ft shipping containers, to dispatch to national and international customers. 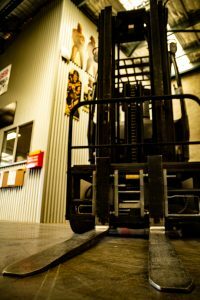 ATS’s warehouse is located at our Albury site with the capacity to hold 160 plus pallets. Receipting, inspection, processing and handling procedures are stringently followed in line with our Quality Management System and ISO accreditation guidelines. Our well-established supplier relationships ensure that we have good insight into production capabilities and lead-times. We keep in-touch with our customers though out their purchases to advise progress and accommodate expectations.